With Mother’s Day right around the corner, we present the perfect Mother’s Day Gift Guide for the mom. The Best Mother’s Day Gift Guide. A Rolex watch is always a great gift for any occasion, but it is extra special when it comes from the ones you love. Why give a fleeting gift of flowers or candy, when a Rolex watch can last a lifetime. Whether it’s her first Rolex or just another to add to her collection, the woman in your life will love the thoughtful and timeless gift of a luxury watch. 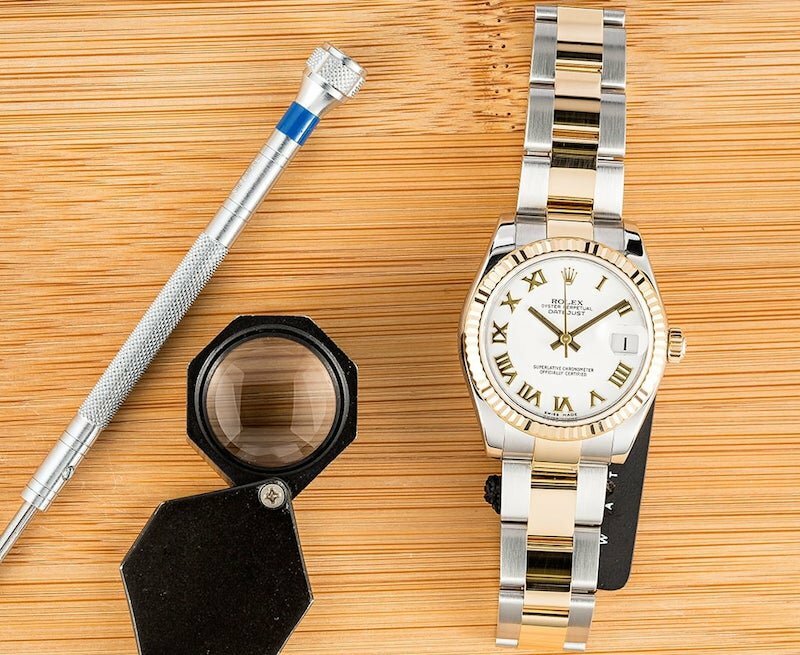 For some, buying a Mother’s Day Gift can be the ultimate challenge, but Bob has the perfect suggestions for the Rolex lover in your family. 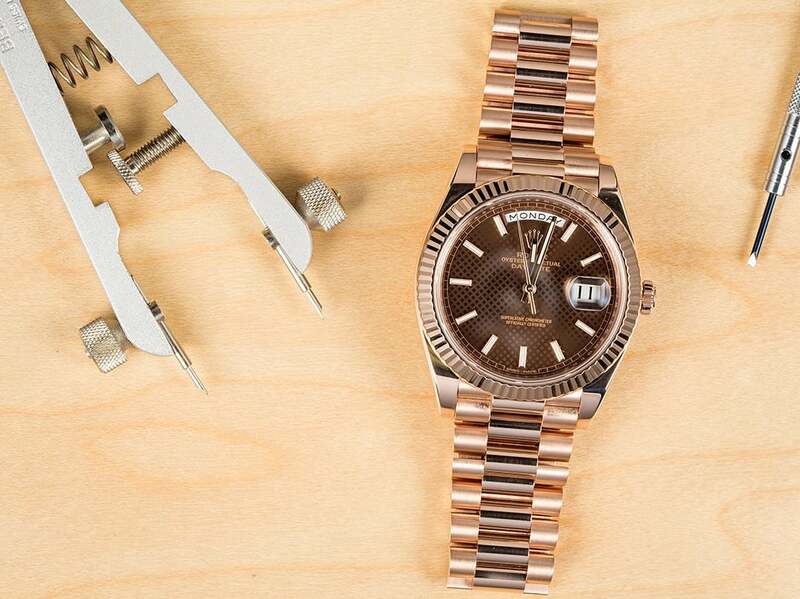 For the Mom with a new bundle of joy, we suggest the Mid Size Rolex DateJust. With its 31 mm diameter, the time is easy to read and readily available at a glance for the busy new mom. We also like the smooth bezel that reduces the risk of nicks and scratches for the baby. When you buy a classic Rolex, such as a DateJust, you can rest assured that your time piece with always be in style. Investing in a Rolex is also financially smart, used Rolex watches are known to retain their monetary value, and nothing is more important to a new family then minding their finances. Give the gift that offers just the right amount of style and class with the a snap of the clasp. The Ladies Rolex President is the perfect gift for the mother that wants to add bit of glamor to her ordinary day. A Rolex watch is the easiest accessory to put on in the morning, but also freshens up the wardrobe for the mom with no time to waist. Rolex Day-Date President is the watch that every Mom on the go needs. Between soccer practice and dance recitals her Rolex will keep her on task and looking good the entire day. When you give her a Rolex President your not saying “I love you”. You’re saying that you want her to save a piece of that love for a lifetime. For the Mother that knows how to make a fashion statement wherever she goes, we recommend the Men’s Rolex Daytona. This larger Rolex is the most in demand Rolex on the market and is made popular by such celebrities as Victoria Beckham and Kim Kardashian. 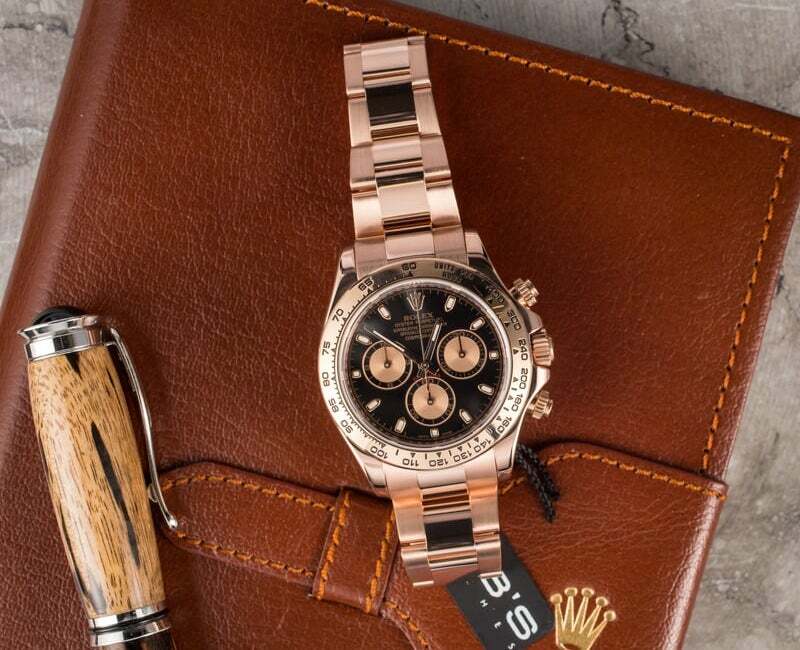 If the Mom in your life likes to enter the room and make a statement, the Rolex Daytona is the ultimate gift for her. With a variety of models available, the Daytona holds it’s popularity from the new to classics vintage models. Make your Mom a true fashionista with this luxury timepiece that can only be described as a “show stopper”. Rolex Daytona ref. 116505 in Pink Gold. Stay chic ladies. Does she already have a Rolex watch? Why not upgrade her used Rolex watch to a beautiful pre-owned Rolex from Bob’s Watches. With a fully equipped inventory, Bob’s offers almost every Rolex model you desire. The process to sell your Rolex or trade in a previously owned Rolex watch is easy at Bob’s. Simply call 800-494-3708, and speak to a representative about the Rolex you own. One of Bob’s employees with give you a phone estimate and send you an “east-ship” box equipped with everything you need to send your Rolex into the Bob’s Watches headquarters. Within 24 hours of receiving the watch, a Bob’s associate will contact you with an offer. If you you except the offer Bob will move forward with the purchase or trade in towards your new Rolex. Mark your calendars, May 8, 2011 is right around the corner! For more Mother’s Day Gift ideas and investment visit the Ladies Rolex Watches inventory.